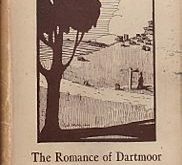 It is interesting to see the varied impressions Dartmoor has made on the folk of verse down through the centuries. Many are rapt in its beauty, wildness and landscape. However, here are some lines which clearly show that the poet Samuel Browning was none too enamoured with the moor. One could even suspect that when, (if indeed he ever did) the poet visited Dartmoor it was on a wild, wet, windy day? Nevertheless, it is a good example of how the spirit of Dartmoor effects different people at different times. This extract comes from a poem entitled ‘Devona – an Historical Poem which appeared in a volume of poems written by Browning in 1846. The work was dedicated, ‘To the Naval Officers of Greenwich Hospital by a British Tar’. In its entirety Devona spanned over 86 pages which comprised of the author’s description of the scenery around Devonshire. That like a mantle folds around their breast. And finds the horizon its distant bound. On this drear heath to meet its horrors there. As if old Chaos sway’d his empire there. And from his wings shakes hailstorm, sleet, and snow. And dash the clouds in atoms as they fly. And shakes with terror all this nether world.